In response to the International Women’s Movement that has captivated the Worldwide Collective Conscious and Unconsciousness of so many people, ART511 Magazine has acted and is presenting a groundbreaking collection of women artists from around the World. ART511MAG PRESENTS: EMINENT DOMAIN EXHIBITION A DYNAMIC, INTERSECTIONAL FEMINIST ART EXHIBITION IN THE HEART OF THE WEST CHELSEA GALLERY DISTRICT. A 3-day affair featuring the artworks of over 90 women artists from around the world. The exhibition concludes Saturday, July 14 with a moderated panel discussion titled: Women in the Arts - Sisterhood & Sustainability, July 12-14, 524 West 26th Street, NYC. 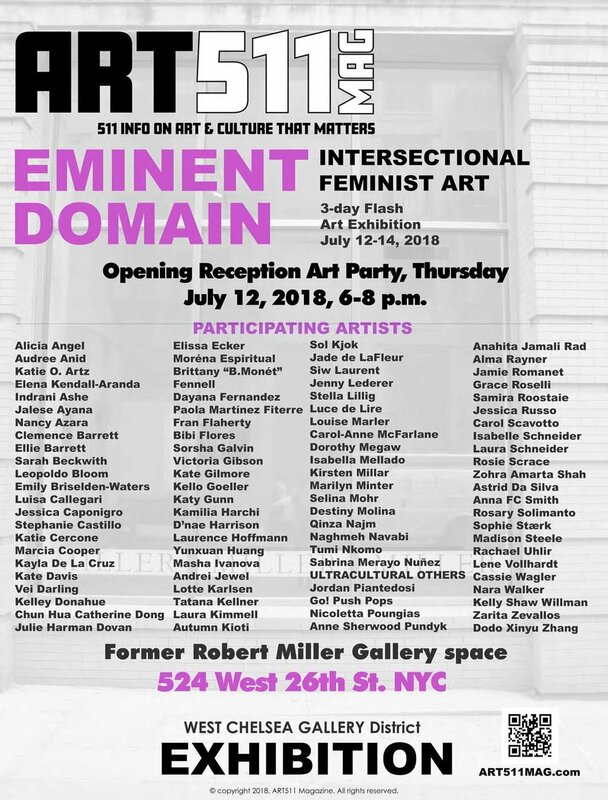 New York, NY, June 26, 2018, ART511 Magazine is pleased to announce EMINENT DOMAIN, a flash exhibition of intersectional feminist art, opening Thursday, July 12th, with an opening reception art party from 6-10 p.m. in the former Robert Miller Gallery space at 524 West 26th St. for 3 days, concluding July 14 with a Women In the Arts Panel comprised of a diverse cross-section of thought leaders in the International Art World playing the fluid roles of curator, organizer/activist, gallerist, artist and arts administrator. Addressing the white male western canon’s discourse drawing from exploiting, misrepresenting and objectifying female bodies and the racial/sexual Other, EMINENT DOMAIN occupies a major white box space in the heart of the commercial art world with a militantly utopic “flash flood” of new media, live performance and traditional visual art of every size and stripe, washing away old, derogative archetypes to tell another story about Art, ritual, community and the divine feminine mysteries. Our sponsors: West Chelsea Building LLC and Gloria Naftali, who have graciously provided the spacious venue to present this extraordinary collection of art by women artists in the world: We are ever so grateful for the support to make this exhibition possible. Additional sponsors of EMINENT DOMAIN include Alexandra Arts, ARTS COUNCIL ENGLAND, MANCHESTER CITY COUNCIL, PANKHURST IN THE PARK, Public Arts Squad Project, Signature Spirits Group LLC, Miolo Wine Group, Tambour Original Sodabi, Chopper Kings Beer Company, SmuttyNose Brewing Company and others. "The suffragettes’ militant activities were shocking for their time. June Purvis describes them as ‘transgressing the gender expectations of Edwardian society’; they unconsciously drew on a history of riotous actions and ritual behaviour that Julius R. Ruff portrays as ‘almost instinctual conduct’.1 Their rebellious behaviour can be read in the context of both early modern riot and festive inversion. The historical popular protest drew on the symbolism of ‘the world turned upside down’ – a phrase used by the early American women suffragists and anti-slave campaigners, Sojourner Truth and Angelina Grimke, in the mid 1800s. This carnivalesque concept would flow in both directions. As Ruff says, ‘festival mocking satire and ritual violence’ could quickly turn to ‘direct hostility, mass violence, riot and rebellion’, and riots employed rituals to reorder society"
Alexandra Arts are excited to announce that Wigan art star Anna FC Smith has been commissioned to contribute to this year’s Pankhurst in the Park project. 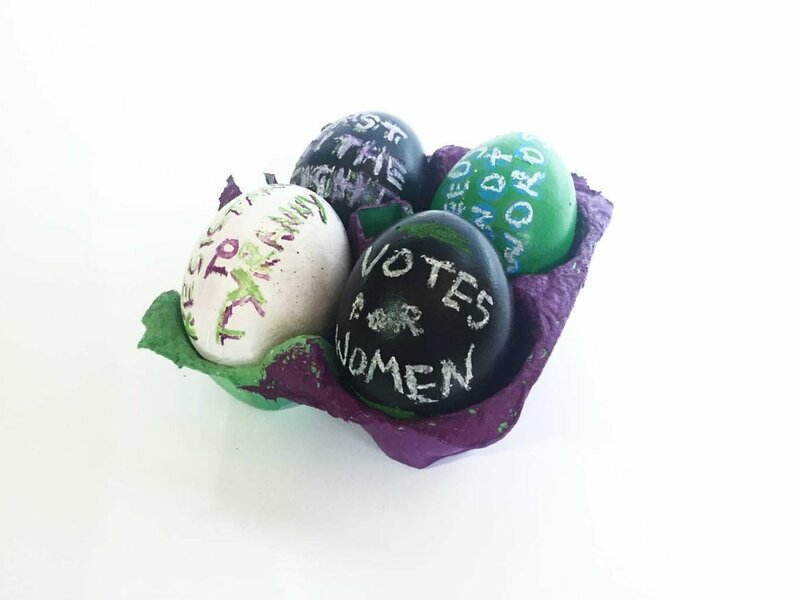 Anna will be running workshops locally throughout April and May, centring around eggs, protest, carnival, and the Women’s Suffrage Movement. In July, a new body of work drawing from these themes and the contributions of participants will be presented in West Chelsea, New York premier art district. 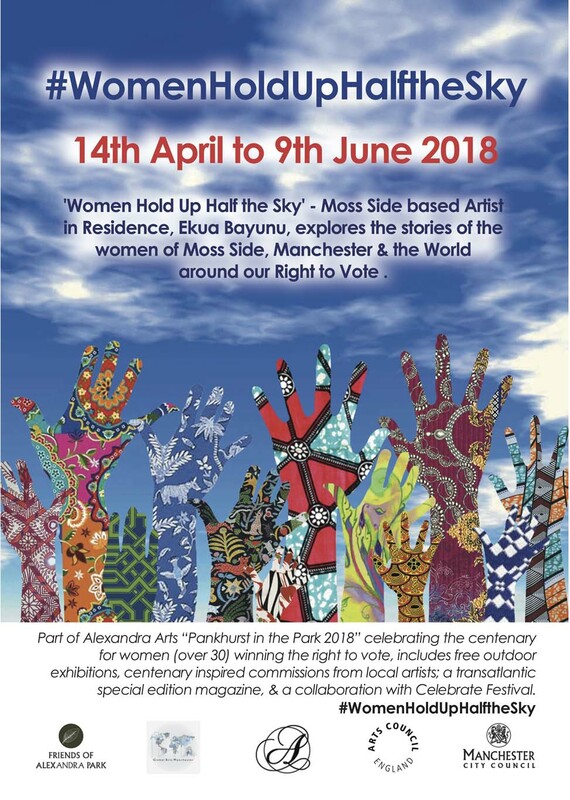 Alexandra Arts and Anna FC Smith invite you to mark the historic achievements of the Suffrage Movement on this significant anniversary by reflecting on the methods of protest used by these activists, to have fun and ‘turn the world upside down’. Join us in Manley Park on May 7th, at Whalley Range’s very own Celebrate Festival, between noon and 6pm. Anna ‘s research led commission includes sessions with Alexandra Arts partners and park stakeholders. In light of the centenary of women’s suffrage and Alexandra Arts transatlantic exchange with NYC based Art 511 Mag, Anna was commissioned to write a piece titled ‘The ritualistic heritage of the suffragettes’ - this was initiated by the Pankhurst in the Park Programme, whose community locus is the same Alexandra Park where many of the suffragettes’s organising and protesting took hold. Adjacent infamous suffragette Emmeline Pankhurst’s residence. 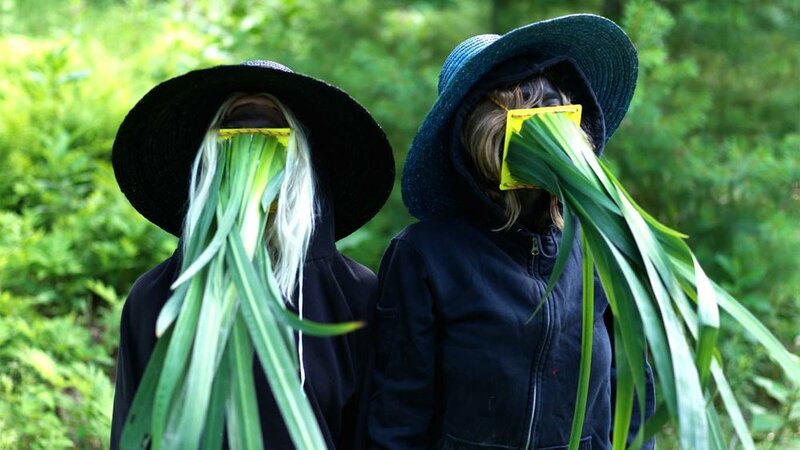 Alexandra Arts Pankhurst in the Park Programme champions women’s continuous creativity, radical acts of rebellion and inversion of the status quo through their organisational support of the socially engaged work of contemporary female artists working within and around the park.